Trainer William “Buff” Bradley saw Groupie Doll’s first foal as a baby, and it was then that he envisioned the long road ahead. Born prematurely, the Tapit colt was too weak to stand or nurse after delivery in 2015. Fewer than three full years later, the horse now known as Tapability has found his way to Bradley’s barn fully healthy. He’s set to debut Saturday, Jan. 13, in a maiden special weight event at Fair Grounds. “I never knew I would get the first foal, but our barn is very excited we’ve been given the opportunity to train him,” said Bradley, who also conditioned the homebred Groupie Doll, the two-time Eclipse Award winner who took the Breeders’ Cup Filly & Mare Sprint in both 2012 and 2013. Groupie Doll sold for $3.1 million to Mandy Pope’s Whisper Hill Farm, after which Pope let her return to the races. 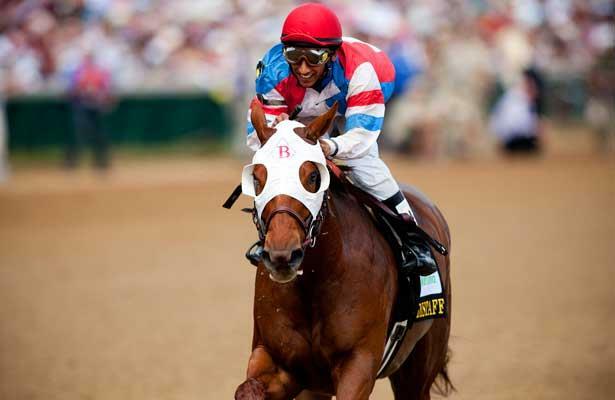 On Feb. 9, 2014, Groupie Doll went out a 7-length winner in the Grade 3 Hurricane Bertie Stakes. This is the first go-around for Bradley training progeny of a super mare. Tapability drew the outside and No. 9 post for Race 3, a six-furlong event carrying a $41,000 purse. Jockey James Graham will be aboard. Leading up to his debut, Tapability has posted three consecutive gate works. In that respect, Bradley said, he’s similar to his mama, who could tended to break a step slow. What else do the two horses share? “He has that willingness to win and get in front of his company in the morning, so I’m hoping that transfers over to the afternoons,” Bradley said. Saturday’s card will be big for more than Tapability’s career bow. Bradley has also entered his current top stakes horse, The Player, to run in the $75,000 Louisiana Stakes.